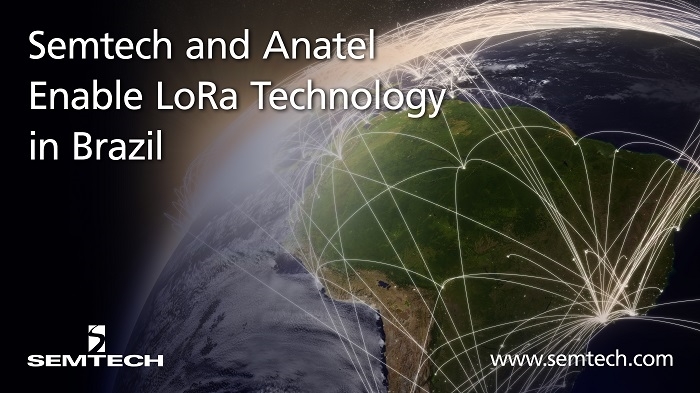 Semtech has announced that Anatel, Brazil’s National Telecommunications Agency, has released new technical requirements for radio frequency (RF) communication devices, enabling the operation of LoRa devices and wireless radio frequency technology (LoRa Technology) throughout Brazil. According to Frost and Sullivan, by 2021, the Internet of Things (IoT) market for applications and hardware is set to generate $3.29 billion in Brazil. 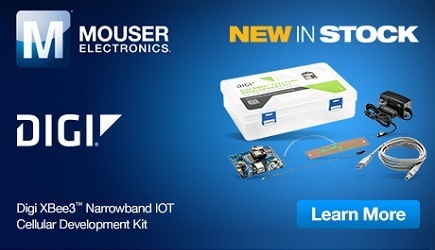 To support this rapid IoT growth, Brazil needs a strong, flexible infrastructure. Anatel reviewed comprehensive studies performed by two government agencies: The Department of Certifications and Numbering and the Department of Spectrum, Orbit and Broadcasting. In addition, Anatel collaborated with equipment manufacturers and held public hearings prior to its passage of resolution #14448 on December 4, 2017. The resolution provides international certification of devices that operate using chirp spread spectrum (CSS) modulation and low duty cycle such as LoRa Technology.